While slurping up Pho at Red Pagoda, JuJu remarked that he really wanted a Banh Mi. However, there was none on the menu. 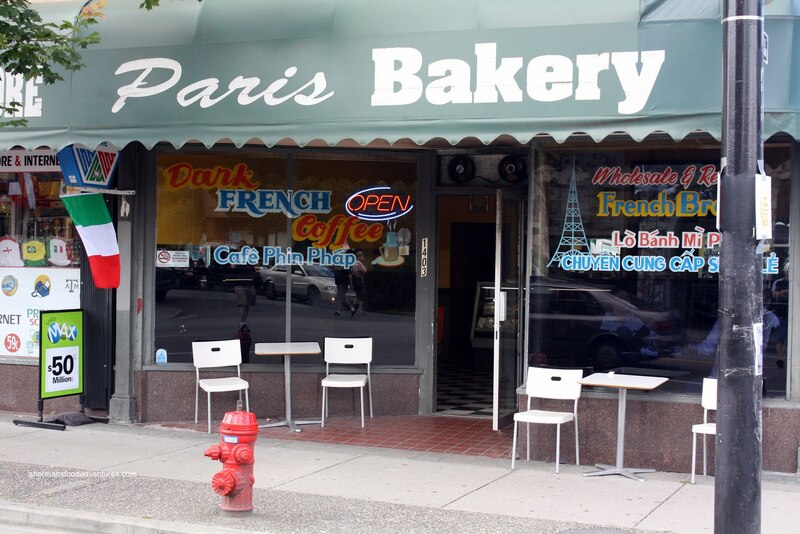 I proceeded to point him in the direction of Paris Bakery across the street. I remembered walking by it while on my way to Brado a few weeks ago. 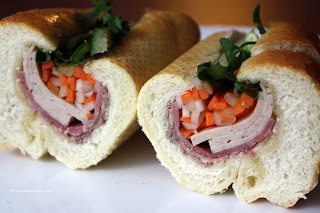 I was intrigued by the thought of a Banh Mi shop on the Drive. So despite being quite full from lunch, we headed over for some sandwiches. Emilicious was more in the sweet mood, so she headed over to Dolce Amore instead. Reminiscent of Thu Mai, there were quite a few people in the store playing cards and smoking. However, it was less intimidating this time around. It's old hat for me now! As we approached the counter, one of the ladies scurried from her laptop to help us. I glanced over and ah yes... Farmville... What a colossal waste of time. I often look over at Viv and wonder why she spends so much time on it. Furthermore, I really don't care if someone bought a cow or something like that! JuJu picked out the Meatball and Shredded Chicken sandwiches. While sticking to my policy of trying to order the opposite someone else has, I got the Special and BBQ Pork. What I really liked abou t these subs was the ample amount of meat. As you can see in the special sub, there is a good amount of Vietnamese ham, headcheese and pickled daikon & carrots. In terms of taste, I got quite a bit of fish sauce despite the presence of pate. The pate got lost as a result. 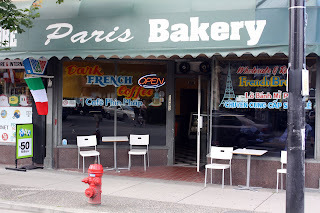 I found the bread to be on the denser side; but the exterior was still quite crunchy. 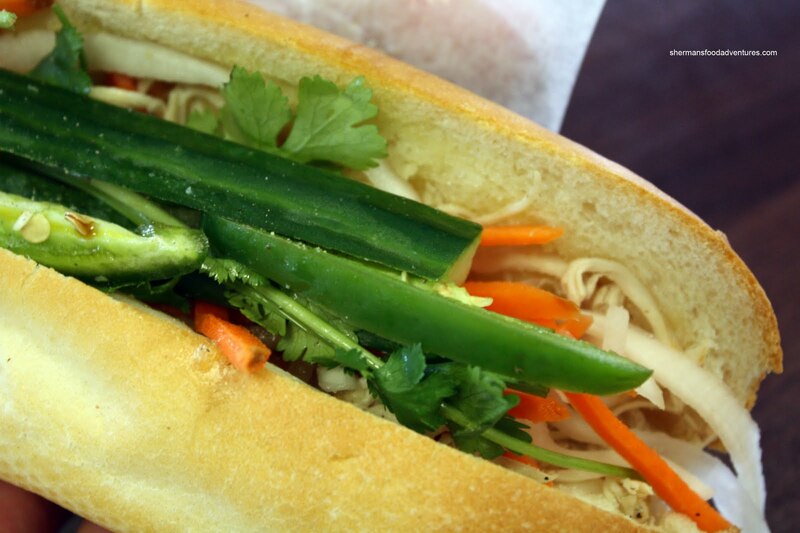 Pretty solid Banh Mi in a location which is more well-known for Latin and Italian cuisine. - What's with the people hanging out gambling? There were people gambling when we were there as well. I was totally paranoid about taking interior photos (goes back to your gangster theory), so we took our sandwiches to go - natural lighting is better anyways!